Real Toads to write about a flower that’s an animal, or a bird that’s a flower– Magaly asked for short–so sorry! Finally, finally, this has been edited since first posting and probably will be more edited! This entry was posted on April 29, 2015 at 11:28 pm and is filed under poetry. You can subscribe via RSS 2.0 feed to this post's comments. You sent me of into a reverie about my visit there in 1998. Hard to see the images showing now on TV. A nice tribute, perhaps veiled a bit, to the people of Katmandu. Over 100,000 have left the city so far. I know a grandparent of a young lady (PhD, job for when she gets home) now camped out in the American Embassy building. With more than 200 others. She Face Timed her dad the morning after when they got out of the building and found Internet. No electricity, no water, little food. I will remember the Bird of Paradise plants so thick in Hawaii. I think they also had them in the Caribbean, Barbados, yes but perhaps imported. 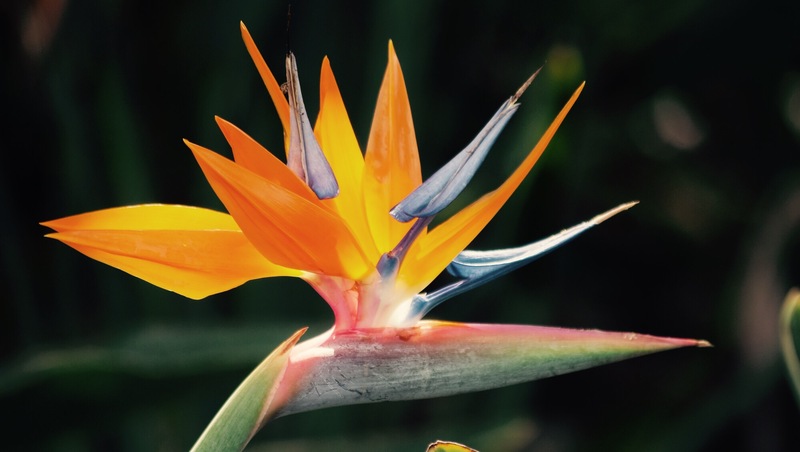 You’re forgiven, I too believed that an event so terribly bright in the consciousness of so many people can be set aside by so many others (not that the Bird of Paradise plant is terrible, by the way). Maybe if more people shine the light towards it, then it will stay out of the mind’s “cracks”. Magaly, so sorry. I really should de-link as it is too long for the prompt. Thanks though! Thanks. I was thinking of the type of paradise the present really is, if we would but realize it, but the whole thing is really very much a bubble–the poem I mean, as well as the present I suppose. I did scribble something this morning–have not looked at yours yet, as I need to work and also kind of want to accept mine as is. k.
This is absolutely wonderful and your closing lines just take off and swoop around the ceiling. Spectacular! Yes–it was shocking for me when my mom first moved down there–they are so beautiful and seem so exotic to someone from the NorthEast, or mid-atlantic–DC is where I’m from. Thanks again. k.